This event is a unique opportunity for younger engineers to engage with some of the most prominent and experienced structural engineers in the SEAONC community. The purpose of the event is to encourage junior engineers to gain strategic guidance and advice to progress in their careers. 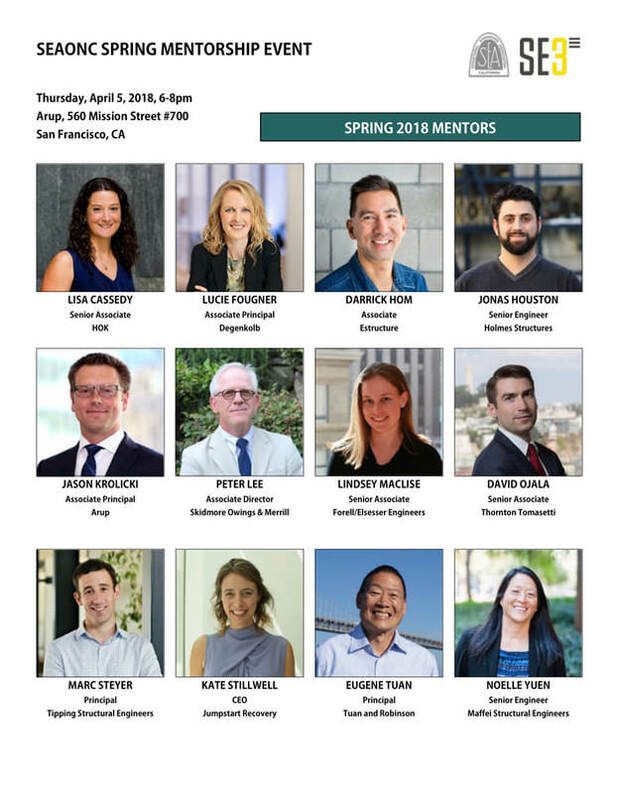 Similar to our last event, this program will follow a speed mentoring format – where groups of young engineers cycle through all mentors over the course of the evening. Resources and sample questions will be provided to all who register in advance. Space is limited so register and fill out this form today! Last year’s mentorship event was a big hit and was completely SOLD OUT so don’t procrastinate!! David Ojala, Thornton Tomasetti, Inc.